Finding a web hosting service that provides you with a “money back guarantee” is like striking gold. There is nothing better than the assurance that if you don’t like a service, you can return it for the full purchase price within a certain time frame. Also, the money back guarantee leads to the inference that a web hosting service must feel completely confident in its services, if the company is giving customers the opportunity to cut the cord if they are unhappy. 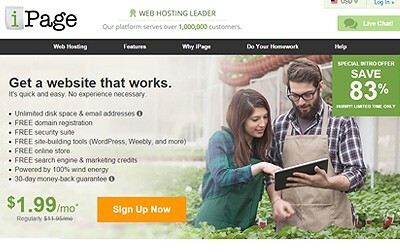 If you are wondering which web hosting service offer a money back guarantee, then iPage is one of them. Not only is the money back guarantee a good buffer against a bad experience, but it is also pretty easy to take advantage of if you need to. Essentially, iPage gives new users a 30 day window to take advantage of the money back guarantee. The clock starts ticking from the day you start service, which means that you should at least have a sense of when you have to cancel. Arguably, whether all your fees are refunded in full depends on what you define as a “fee.” Despite claiming that you will receive a full refund, iPage also notes that if you registered your domain through the web hosting service, you will not receive the $15 domain fee back. To legitimize not really refunding you all of your fees, iPage claims that the fee is to ensure that your domain name remains active so that you can transfer it if you sign up for a new hosting service. 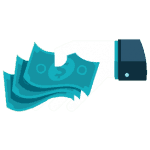 If you are relying on the money back guarantee, then you should also be aware that the guarantee does not apply to most of the add-on services. For example, a domain is considered an add on service, therefore you will not be refunded the domain fee that you paid. At the end of the day, it is better to be safe than sorry. Therefore, if you do want to use the money back guarantee, then you should provide iPage with written notice. This way, there will be no contention regarding your intent to use the money back guarantee option.